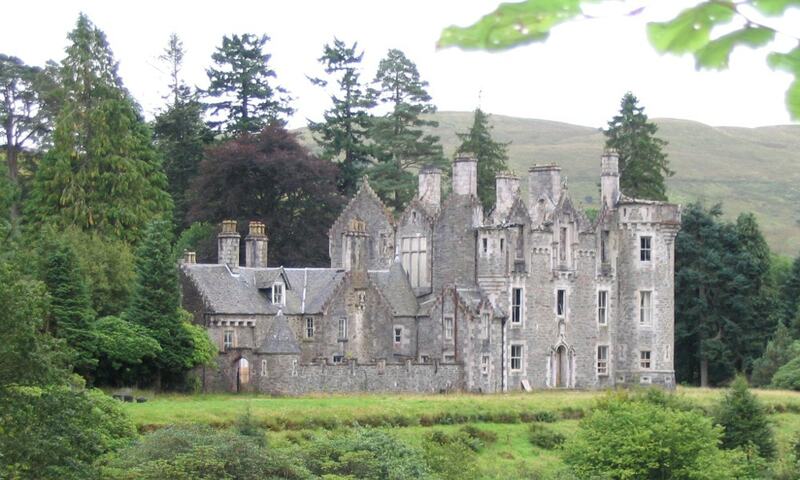 Dunans Castle is a historic structure located on the Cowal peninsula in the Argyll and Bute council, Scotland. A property at Dounens was shown on maps in 1590; Dunans House was elaborated into its present mock castle form in 1864. Once part of a much larger estate the property presently includes 16 acres of ground and in 2001 was ruined by fire; the site, including a Victorian path network, has undergone some restoration supported by the Dunans Charitable Trust. The castle was reported to have three resident ghosts.